Eat all you can for RM5?? 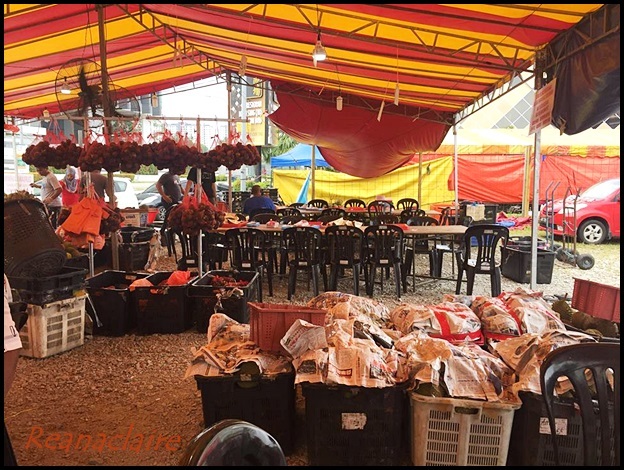 We saw a big crowd at one of the stalls near Taman Sutera but no, we did not stop and see what was really going on. 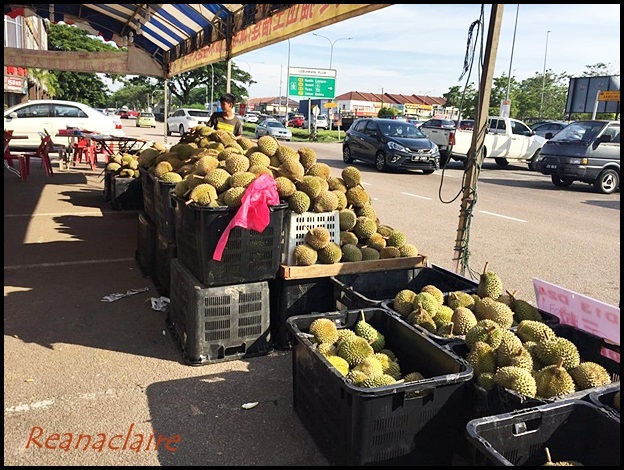 Seriously, why are the durians so cheap here in Johor? Some are even selling as low as RM1 and RM2, but of course, they are tiny ones. Seems Aaron is back at the perfect timing this round, he has a durian fan with him all the time... ME!! 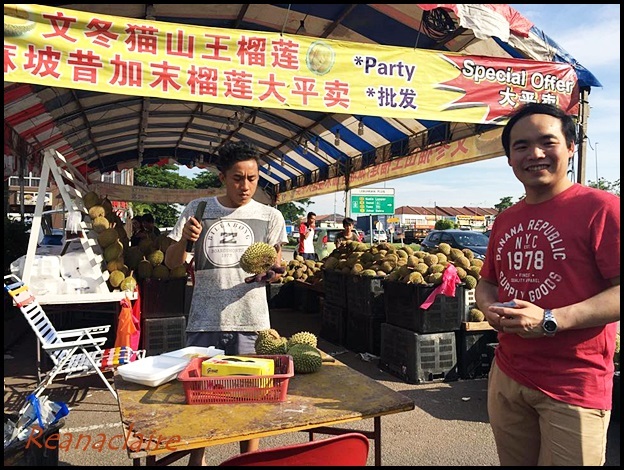 Durian Party for durian lovers! 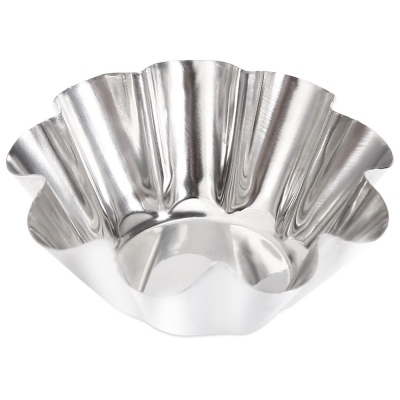 If so cheap here, I would make tempoyak! So cheap! 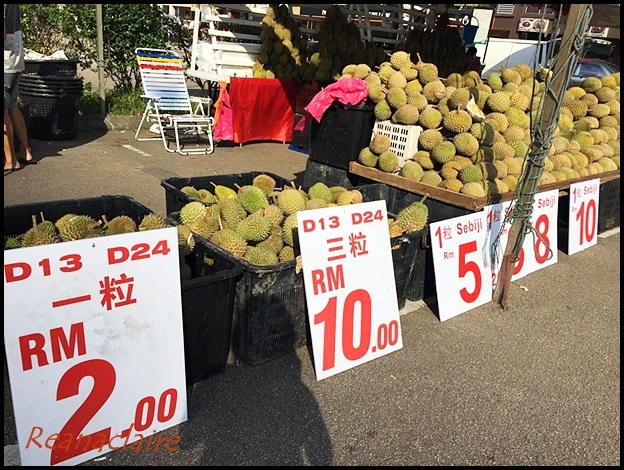 Ipoh durians also cheap, but not as cheap as in Johor! 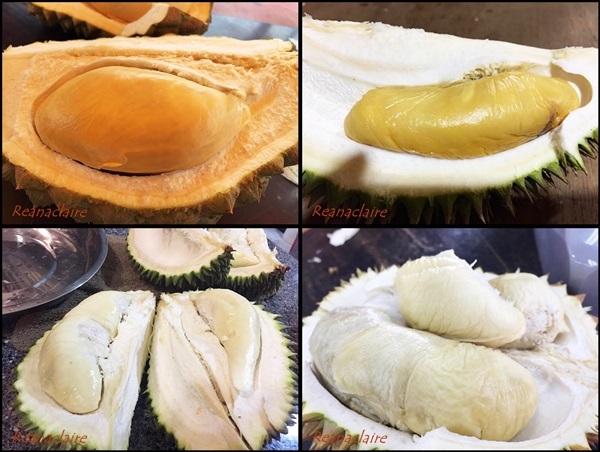 I have been eating durians and forgotten about losing weight! 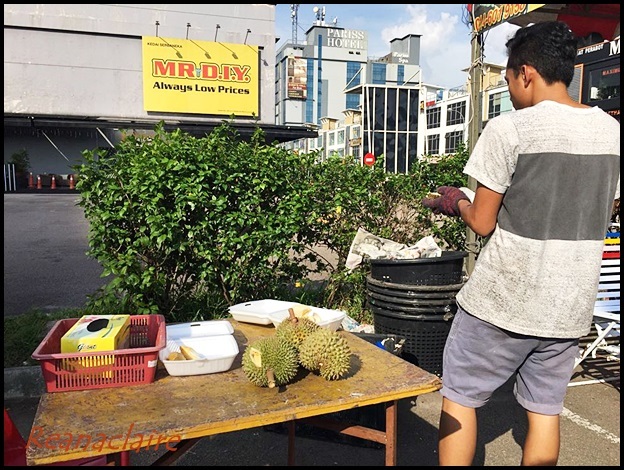 D24 is just RM2 for a whole durian!! Here it is RM18 per kg! Arghhhh, if only I live in Johor. 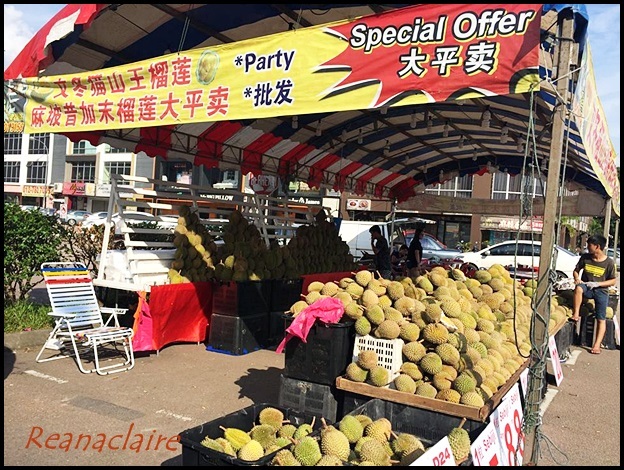 Very nice prices for a durian fest! 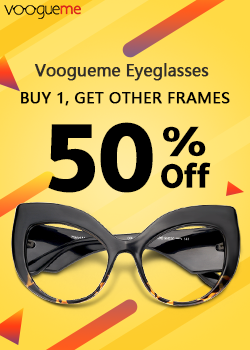 Aiyo, I want lah..... LOL! 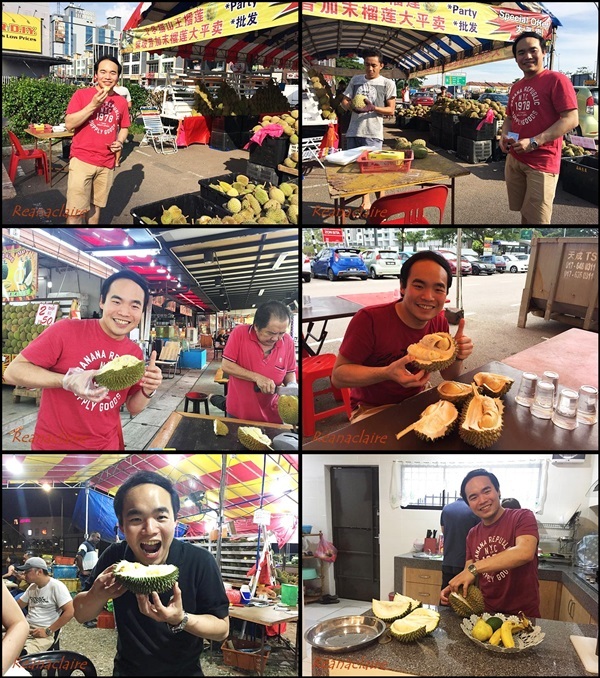 Durian lovers sure happy and eat till their hearts content. Haha. But not for me. Somehow I don't fancy the fruit any more for many years now. Probably ate too much of it when I were young girl that I fall out of love with the fruit. Lol. Can do with or without it. 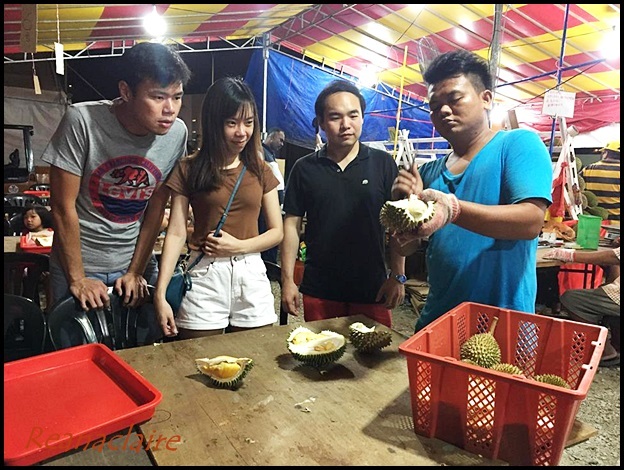 Aaron looking so happy to be surrounded by durians!! Choosing just the right one seems to be a serious thing.